Coupon not valid with any other offer. Must present coupon at time of purchase. Limit one coupon per person. Coupon does not apply to prior purchases. Other Restrictions may apply. Void where prohibited. See advisor for details. Present this coupon at Tri-City Chrysler on your next visit to receive a complimentary multi-point inspection. 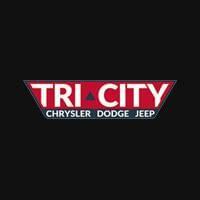 Present this coupon at Tri-City Chrysler on your next visit to receive these savings. Please see dealer for details.